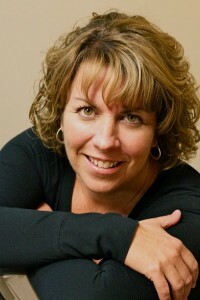 Melissa has owned and operated one of Southern New Hampshire’s largest dance studios for more than 25 years. Her goal is to provide a positive learning environment for students of all levels and to provide top technical training for those wishing to pursue dance as a career. Her students have been the recipients of dance scholarships to NYU Tisch, University of Arizona, Point Park University, the Boston Conservatory, and University of the Arts, among others. They have gone on to perform on Broadway in Come Fly Away; in national tours of Book of Mormon, Billy Elliot, 42nd Street, and Beauty and the Beast; in the Radio City Rockette Christmas Spectacular; in Las Vegas productions Le Reve, Jubilee, and Show Stoppers; on Royal Caribbean and Norwegian cruise lines; and in the movies Hail, Caesar! and Paul Blart: Mall Cop 2. Many of her students have gone on to work as instructors at studios and colleges across the country, some even founding their own studios and professional companies. Melissa is nationally recognized for her preschool dance program. Her studio was one of the first in New Hampshire to offer two year olds dance lessons. She has been a presenter for the DanceLife Teacher Conference in Arizona and at the DanceLife Retreat Center in Massachusetts, and she travels to cities across the country to present for Hollywood Connection. Melissa has been a contributing writer for DanceLife Magazine for the past 10 years and has served as an adjudicator for numerous organizations across the US, Canada, and, most recently, South Africa. Melissa lives in Hudson, NH with her four children.